Alcossebre is one of the most welcoming places in the coastal area of Costa del Azahar. The beauty of its environment, surrounded by 3 national parks (the Sierra Irta, the Prat de Torrenostra- Cabanes and the Columbretes Islands) as well as sandy beaches and coves create a haven of green and blue, sea and mountain, sport and relax, just ideal for you. 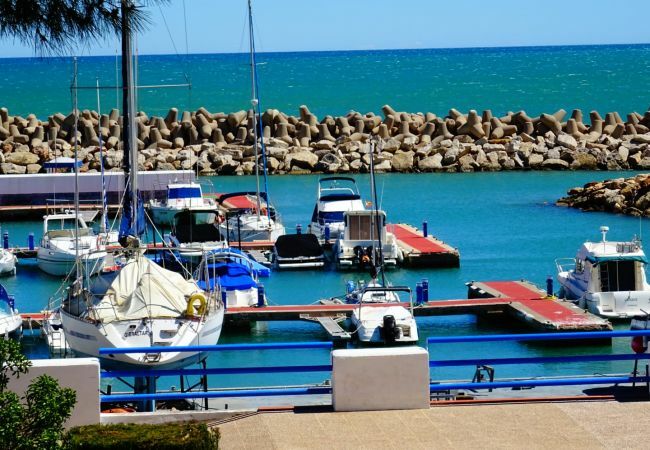 Alcossebre has been a small town of fishermen and farmers who thanks to the tourism industry discovered the beauty of its beaches, keeping the charm and hospitality of its people. Nowadays Alcossebre has become a reference point on a gastronomic level, with several modern restaurants, whist on the sporting level there are several water activities you can do in our harbour and its sailing school, or you go for a hike or try one of the mountain bike tours through the SIERRA DE IRTA. To discover the surroundings we recommend Peñíscola, Morella and Vilafames, as well as other villages in the interior of the Maestrazgo which you can easily visit in 1 day. Or you can travel to Valencia and its Ciudad de las Artes y Ciencias or visit Spain biggest entertainment park, Port Aventura, or other amusement parks nearby. Alcossebre is the perfect combination of beach, nature and well-being, which will make your family vacation unique.